By David D. Grumhaus, Jr., Head of the Infrastructure Group and Senior Portfolio Manager, and Charles Georgas, CFA,Portfolio Manager, Duff & Phelps Investment Management Co. Momentum from the second quarter continued into the third quarter for the energy space, as North American energy infrastructure stocks rallied hard in July and the first half of August, jumping 12.65% (as measured by the Alerian MLP Index). Nevertheless, the sector hit a wall in the final six weeks of the quarter and saw half its gains erased. While the sector still finished the quarter up 6.57%, it ended up trailing the 7.70% gain posted by the broader U.S. market (as measured by the S&P 500® Index). The sector continues to benefit from strong fundamentals. Capacity for midstream assets across U.S. oil basins remains very tight, thereby driving wide differentials in prices and strong demand for new projects. During the third quarter, we saw a number of new projects get contracted and announced. Management teams remain very bullish in their outlooks, and this bullishness was confirmed by another strong quarter of earnings. Bellwether MLPs Enterprise Products, Energy Transfer, and Plains All-American all posted especially good quarters. Perhaps the biggest MLP news of the quarter was an order from the Federal Energy Regulatory Commission (FERC) that it was significantly softening its March 15 announcement. The original announcement curtailed the ability of MLPs to include a tax allowance in “cost-of-service” contractual rates charged to customers on certain pipelines, and, at the time, sent the sector into a tailspin. On July 18, the FERC announced that MLPs eliminating their income tax allowance could also eliminate their entire accumulated deferred income tax (ADIT) balance, effectively creating an offsetting benefit for MLPs faced with the largest revenue reduction. Despite the FERC announcement, both Williams and Enbridge moved forward with their previously announced simplification transactions. The deal that Williams had announced on May 17 with Williams Partners at a 6.4% premium closed on August 10. Also on May 17, Enbridge had announced its intention to buy in its MLPs, Spectra Energy Partners (SEP) and Enbridge Energy Partners (EEP). Enbridge and SEP reached a deal on August 24 for Enbridge to buy SEP in at a 9.8% premium to the original offer, and less than a month later it announced a deal to buy EEP at an 8.7% premium to the original offer. The big news on simplification, however, came on August 1 when Energy Transfer Equity announced it would buy in Energy Transfer Partners (ETP) at an 11% premium. ETP was the last of the large-cap MLPs that needed to simplify. The companies had indicated for while that they would likely merge, but a deal was not expected until 2019 given concerns about the parent company’s investment grade credit rating. Nevertheless, due to the strong industry fundamentals and the company’s robust earnings, Energy Transfer was able to convince the ratings agencies to let it move forward on an accelerated basis. The oil backdrop also remains very constructive even though oil prices were quite volatile in the quarter. Last quarter, we speculated that oil prices might be a little weaker in the near-term as new Saudi and Russian production hit the market in preparation for the Iranian sanctions taking effect. Sure enough, oil fell more than $9 a barrel in the first half of the quarter before making up almost the entire loss in the second half to close down less than $1. Interestingly, oil traded exactly the opposite of the MLPs which, as mentioned, were strong in the first half and weak in the second half. While the price of oil was mixed, ethane and natural gas liquids (NGL) prices remained robust. Ethane prices, which had jumped almost 50% in the first half of the year, leapt another 62% in the third quarter. The sector’s performance in the second half of the quarter left us and many other dedicated MLP investors scratching our heads. In examining the pullback, we would point to a couple different factors. First, retail funds flows were very weak in the quarter, and accelerated post the FERC announcement. There was a big pickup in fund flows in the second quarter, and with the sector rebounding over 19% from the end of March until the end of July, certain investors may have decided to take their gains. Another overhang also emerged for the sector with Colorado Proposition 112. This initiative, which will be on the November ballot in Colorado, would require 2,500-foot setbacks from any building for all oil and gas developments. While innocent sounding, the initiative would essentially ban fracking in Colorado as it is estimated that it would eliminate drilling on over 85% of the non-Federal surface area. While industry professes confidence that it will be able to defeat the proposition (a similar initiative was defeated in 2016), stock prices for MLPs with Colorado exposure have taken a big hit. We remain very constructive on the overall sector. We expect another strong quarter of earnings which should be a further catalyst. While we are dismayed by the fund flows, we continue to believe that investors will at some point have difficulty ignoring the strong secular growth story and attractive distribution yields and valuations. Unlike the last three years, there also may not be widespread tax-loss selling into year-end since midstream enters the fourth quarter with a positive year-to-date return and there had been a dearth of equity offerings earlier in the year. While the group may have been swept up in the sell-off of high yielding assets as interest rates rose into third quarter-end, we believe this presents a buying opportunity as MLPs have historically demonstrated a fairly low correlation with rates. Further underscoring our bullish sentiment, we have seen significant insider buying by top executives of ETE, KMI, and ANDX, to name a few. Clearly, the most immediate issue is the Colorado vote which, while impacting only roughly 10%-15% of the sector, is still an overhang. Rational thought tells us that this will not pass. Most of the key politicians in the state, including both the nominees for governor and the Denver mayor, are against it, and industry is outspending the opposition by roughly 30:1. It is also important to remember the oil and gas industry is a significant employer in the state and pays over $1 billion in taxes (in a balanced budget state no less). Nevertheless, at this point, we all know that elections can be highly unpredictable. And while we think there is a lot of downside priced into the Colorado-exposed MLPs, we also have no doubt that the initial reaction to the proposition passing would be for these stocks to be sold hard. Hence, we continue to review the risk-reward around the Colorado names. In addition, we are trying to analyze the long-term value of these stocks in the event the initiative does indeed pass. We would note that several of our Colorado-exposed holdings are affiliated with large diversified E&P sponsors who have the ability to shift capital and drilling rigs to other shale basins. The Energy Transfer simplification was a big deal as it was the last of the large MLPs that had to restructure. Nevertheless, this does not mean the restructurings are done. We are still waiting on both Antero Midstream and Equitable Midstream to announce what they are going to do. As mentioned, Enlink has talked openly about simplification. Incentive distribution rights (IDRs) also remain a key focus for investors, and MLPs that are in the high splits such as Shell, Valero, Phillips, and DCP Midstream are under particular scrutiny. 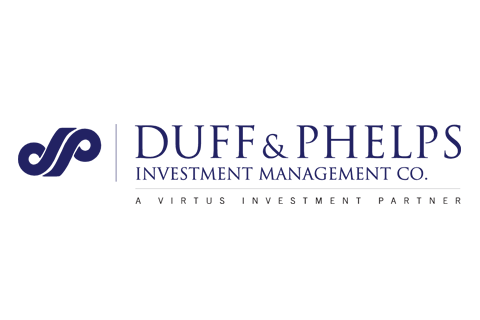 Buckeye Partners announced it is reviewing its strategic options and its distribution. Ultimately, what all of this means is that there is still noise the sector needs to work through, which remains an overhang. Nevertheless, with each quarter, we are nearer to the finish line, and hopefully as we get closer, new investors will feel comfortable taking the plunge. 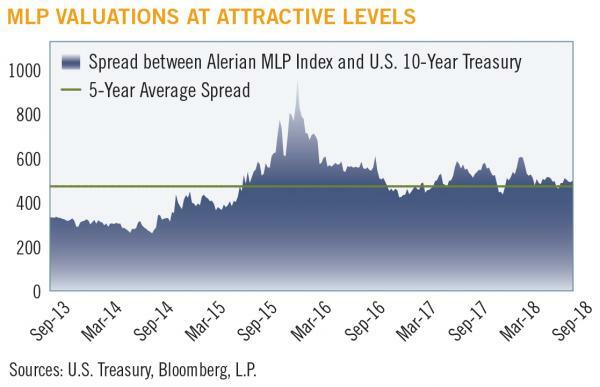 The Alerian MLP Index is a composite of the 40 most prominent energy master limited partnerships (MLPs) that provides investors with an unbiased, comprehensive benchmark for this emerging asset class. The index, which is calculated using a float-adjusted, capitalization-weighted methodology, is disseminated real-time on a price-return basis (NYSE: AMZ) and on a total-return basis (NYSE: AMZX). The index is unmanaged, its returns do not reflect any fees, expenses, or sales charges, and is not available for direct investment.